This heart applique is easy and simple. 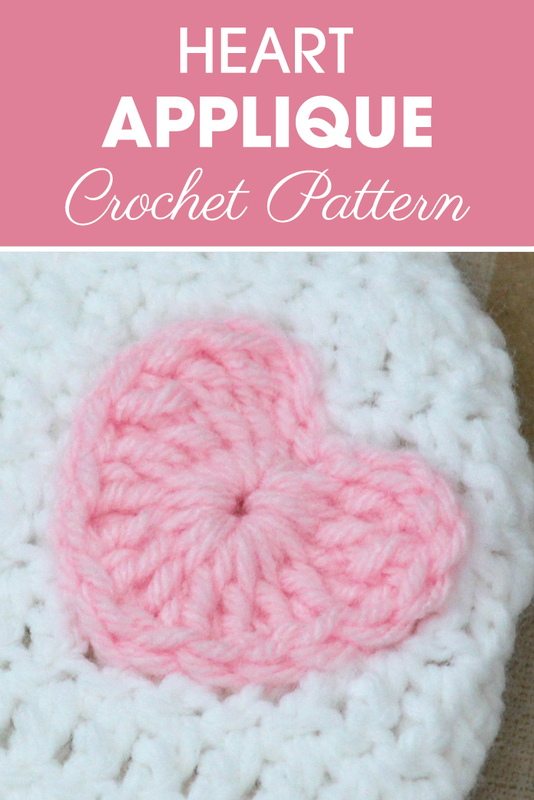 Make this crochet heart in less than 2 minutes! ch 4, all worked in the 4th ch from hook, 3 trc, 4 dc, trc, 4 dc, 3 trc, ch 3, join in the circle as before, cut yarn, fasten off, weave ends.